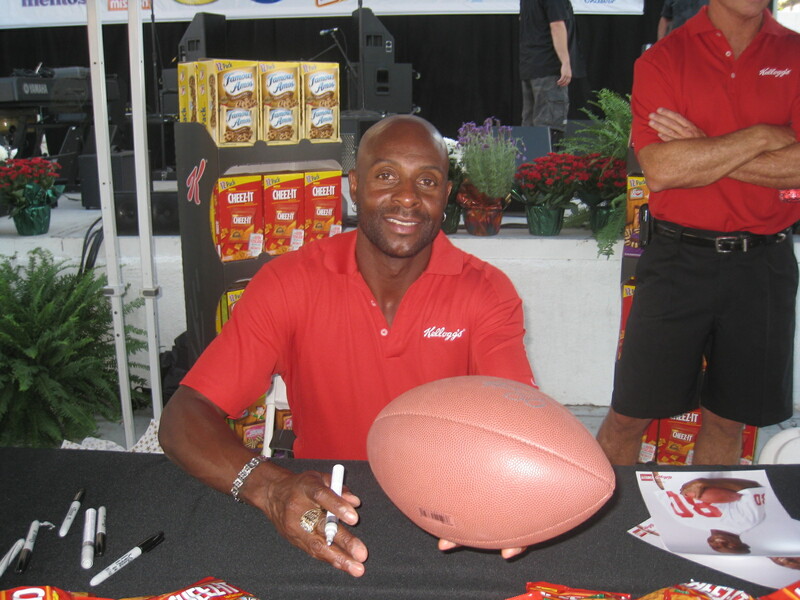 Athlete Speakers is your trusted sports booking agency when booking an athlete for an autograph signing appearance. We have access to thousands of professional athletes and coaches that can sign autographs at your next event. Why Book an Athlete for Autograph Signings? Companies hire professional athletes and sports celebrities to draw large crowds for special events such as trade shows, corporate meet and greets, store openings, product launches and more. Athlete autograph appearances also increase brand awareness, draw traffic to booths at conferences, and put the spotlight on charity events and non-profit organizations. The excitement of getting an autograph and picture with a famous athlete or coach will ensure the memory of a lifetime. Why Book an Athlete Autograph Signing Through Athlete Speakers? Athlete Speakers has been working with organizations for over 20 years to find the perfect athlete for autograph signings for their event. Having booked over 10,000 events since 1999, Athlete Speakers has direct relationships with athletes, coaches, sports agencies, and public relations firms to get the best talent fees for our clients. Our experienced team of agents and logistical coordinators will work with your company to find the right sports celebrity for your next event and ensure that the booking process will be successful from the moment you contact us until after your event is completed. Make your next event more exciting by booking an athlete or coach for an autograph signing through Athlete Speakers. Find an athlete who aligns with your event’s date, location, and budget. Contact us to book an athlete autograph appearance now.